Now this brings back memories and feelings of when I was very young. It was a time when I was able to read but not yet ready for long and complicated adult books. I stared at bookshelves in awe. Beefy tomes seemed a wonder to me. I think that I was on the cusp of the situation described in the above quotation, able to read sentences, simple paragraphs, maybe even short children’s books; but the big adult books were still out of my reach. Even then, there was an insatiable curiosity. There was a strong mystique to these objects called books. How could one collect so much knowledge between two covers? How could anyone absorb such voluminous intricate detail? When I initially attempted to tackle such weighty works, history books at first, I more often than not did not finish them. Surprisingly, when school acquainted me with textbooks, I learned an important lesson. At the start of the year these textbooks appeared insurmountable. I learned, however, that slow progress, one week at a time, eventually yielded comprehensive results. Slow and steady wins the race! Later, I did begin to read history books. For fiction, I began to devour what at the time I described as “serious science fiction”. Later still, this was not enough. There were other literary works beyond the science fiction genre that were just as important to explore, if not more so. Of course, reading critically was an important early lesson. As brilliant as some the minds behind some of these works were, I knew that I needed to really look hard at their ideas. Many of the messages in the early fiction that I read seemed incongruous with each other, as well as with what seemed true about life and with existence. Early religious instruction with its accompanying Bible readings also had an impact. Here was a combination of works that, even at the time, I sensed were immensely important. They reached into culture, morality and human emotion. I grasped some of their aesthetic beauty. These texts were filled with ideas; but I saw that these were a mix of good, in–between and bad ideas. Despite what so many others were telling me, as profound as these writings were, I concluded that they were not the definitive word on morality or the reality of existence. The same proved true of the ideas presented in many other books. Throughout much of my early youth, I imagined the perfect adult who was constantly reading books of all types and taking in the collective knowledge of humanity. I think that this idealized grown-up helped shape me into the reader that I am today. Sometimes, the sight of a book, even a book that I believe or know to be really good, seems very mundane and commonplace. At other times, I take another look and I once again feel the wonder and awe at just how much thought and beauty is contained within that very small space between two covers. 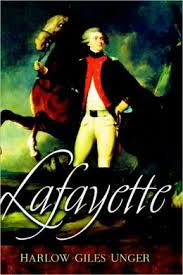 Lafayette by Harlow Giles Unger is a fascinating and detailed exposition of the life of Marie-Joseph Paul Yves Roch Gilbert du Motier, Marquis de La Fayette. I highly recommend this work; however, it is not without its flaws. This is mostly a serious, informative and thoughtful book. It is highly readable and it is a page - turner. This is also an intricately researched biography that is heavy with the actual writings and correspondence of Lafayette and his contemporaries. With all that said, like many biographers I found that Unger is a little too enamored with his subject. At times the author reminds us a bit too much about the French nobleman’s bravery and virtue. In addition, Unger sometimes goes a little overboard in excoriating historical figures to the point of near name calling; at one point he refers to Jean – Paul Marat as “ a foul, ill kempt Swiss dwarf” and repeatedly and unnecessarily refers to Louis XVIII as “obese.” These are unfortunate exceptions, however, as more often the author creates relatively accurate and fair representations of his subjects. For all his admiration for Lafayette, Unger openly confronts the man’s flaws. Unger is also honest about his intentions; in his introduction he declares that the purpose of him writing the book is to dispel some of the attacks upon Lafayette’s character and actions that have been leveled by certain historians over the past few years. My summery of Lafayette’s life is more detailed then I am usually inclined to present. This is because I think that the particulars of the connections that he established with other persons are vitally important to understanding the man and his times, as well as with some points that I would like to touch upon. In 1757, Lafayette was born into French nobility and privilege. Orphaned at a young age, he began his military career in French army while in his teens. In 1774, he married Marie Adrienne Françoise de Noailles, the daughter of another powerful French noble family. Though the marriage was arraigned and initially emotionless, in time the couple developed a deep love for one another and Adrienne became an important partner in Lafayette’s endeavors and pursuits. When the American Revolution broke out, like many young French nobleman, Lafayette traveled to America to join the fight. The motivations of these men included the chance at fame, glory and adventure, as well as the opportunity to take on their historical enemy, Great Britain. Joining the continental army, Lafayette quickly proved his bravery under fire as well as his military acumen. The Marquis soon rose to a top leadership position on the continental army, became one of George Washington’s most trusted advisers and conducted several brilliant military campaigns. It was at this time that Lafayette and Washington established an extremely close bond; Unger and many other historians describe it as a farther-son relationship. Lafayette even named his son Georges Washington de La Fayette. He also built enduring lifelong friendships with other personages as Alexander Hamilton, Thomas Jefferson, John Adams, James Monroe, as well as numerous other Americans. These friendships would come into play time and again over the course of Lafayette’s life. Significantly, during this period he became a true believer in republicanism and what I would describe as a reasonable and measured revolutionary ideology. It was during this stage that Lafayette and the nation of America developed what can only be described a lifelong love for each other. Lafayette was not just a military leader. During the American Revolution, he played an instrumental political and diplomatic role, first, in helping to convince the various reluctant American States to support the war effort, and later in helping to convince his native France into supporting the American War for Independence. Eventually traveling back and forth across the Atlantic, he helped to persuade both France and Spain to come into the War on America’s side ensuring British defeat. Shortly after the conflict’s end, he joined John Madison’s expedition into the deep wilderness of New York State to establish a treaty between the Iroquois Nation and the United States. Lafayette turned out to be instrumental in the successful negotiations. Returning to France, the Marquis was hailed a hero. He and Adrienne become ingrained in the business and society of Louis XVI, Marie Antoinette and the Court of Versailles. As the French Revolution developed, Lafayette was a key player. He advocated for a major reform of French society and the establishment of a constitutional monarchy that had characteristics of a republic. He also was a champion of individual rights. He became the leader of a moderate wing of the revolutionaries. As the Revolution developed Lafayette was appointed commander of the Garde nationale, which was essentially the Revolutionary Militia. In terms of popularity, power and influence, he was for a time the most powerful man in France. As the revolution became more violent and fell under the control of radicals and extremists, Lafayette attempted to maintain a balancing act. He endeavored to erode but not completely destroy the power of the monarchy. At the same time, he was protecting Louis XVI and the royal court from mob violence, as they were essentially surrounded and unable to leave the Tuileries Palace in Paris. Thus, he was also in a way the monarchy’s jailor. With time, radicals such as Maximilien de Robespierre began to seriously erode Lafayette’s popularity and power. At this time, France began to become engaged in war with various European powers. Lafayette was placed in command of a French army. Eventually, the Marquis finally decided to move against the radicals but it was it was too late. As he was preparing to March in Paris, his troops mutinied and he was forced to flee into the Netherlands. He was subsequently imprisoned by Prussia for being the catalyst of a dangerous revolution. In the meantime Adrienne and much of Lafayette’s family were imprisoned as The Reign of Terror descended upon France. They all barley escaped the guillotine, thanks largely to the efforts of James Monroe, Lafayette’s old comrade in arms, who was now the American Ambassador to France. As time passed, more moderate forces took control in France. Adrienne and family were eventually released and were allowed to leave France. In a seemingly bizarre decision after sending her son, Georges Washington de La Fayette, to safety in the care of his namesake in America, Adrienne took her two daughters to live with Lafayette in Olomouc prison. The family was finally released after several years. Eventually resettling in France, Lafayette mostly avoided public life but maintained a somewhat hostile relationship first to Napoleon Bonaparte’s regime, as well as the subsequently restored Bourbon monarchy. These were not the republics that Lafayette envisioned. In 1815, the Marquis did step into the spotlight again when he helped to arrange the exile of Napoleon. In 1825-1826, Lafayette returned to America for a sentimental thirteen-month tour. At this time, he was reunited with his surviving American Revolutionary friends. Historically, Lafayette had enjoyed enormous popularity on America. The adulation that the American public poured upon Lafayette was astounding as crowds of tens of thousands greeted him from coast to coast. This could easily have been the final act of a monumental life, but Lafayette was not yet finished. Seemingly reenergized upon his return to France, Lafayette became an even more outspoken critic of the French King Charles X, whom he saw as more oppressive than his predecessors. The seasoned revolutionary attracted a host of young followers. When revolution broke out once again in Paris, Lafayette was propelled to lead it. In short order, Charles X was overthrown. A constitutional monarchy with the seemingly liberal and pro revolutionary King Louis Philippe I was instituted with Lafayette’s blessing. In the next several years Louis Philippe I becomes more and more autocratic and used massive force to quell street demonstrations. As a result he fell out with Lafayette, who once again became the leader of a vocal opposition. Relatively active until the end, Lafayette died peacefully in 1834. There is so much both of this book as well as of the French nobleman’s life worth exploring. I want to devote a few words concerning just one of many intriguing issues. As the French Revolution became more and more radicalized and chaos and killing erupted in the streets of Paris, Lafayette made major efforts to damp down on the violence and keep order. Yet, while he possessed enormous power and influence, he hesitated to move, politically or militarily, against radicals who were sowing violence, undermining order and attacking and slandering him personally. “In rejecting political and military power, Lafayette's political ineptitude was matched only by that of the king, who was a past master of the art"
What was the cause of this unwillingness to take decisive action? On the surface it seems like a puzzle. Up until this point, Lafayette had shown that he possessed both physical and moral courage. Furthermore, he was a bold man of action who did not shy away from what he believed to be right. According to Unger, the answer lies in his formative years and involves a terrible misreading of the situation in Revolutionary France. Lafayette was perhaps the most important member of Washington’s inner circle during the American Revolution. During this time, Continental forces were perpetually short of material, funds and manpower. These shortfalls almost cost America the war. They led to lost battles, the starvation, freezing and death of troops and left soldiers without pay for years at a time. These depredations were partially the result of greed, profiteering and incompetence in both the American Congress and the state governments. On numerous occasions, Washington was urged to use his power and popularity to take over the American government to put an end to these outrages. Again and again he refused, arguing that virtuous republican ideals dictated that he not intervene in government militarily or even through demagoguery. Later, when the war was over, Washington could have simply declared himself King of America. There would likely have been little opposition to such a power grab and several military officers urged him to do so. Once again he demurred, citing republican idealism. Lafayette was present for all of this. Washington was his mentor. When he saw terrible outrages occurring in France during that revolution, he judged the situations to be similar and that, like in America, republicanism itself would sort things out. While I do not feel that I know enough to unabashedly embrace Unger’s analysis, it does seem plausible and his take on Washington, his motivations and his impact on Lafayette during the American Revolution seem to be mostly on target. Lafayette fascinates me. The man’s life story epitomizes the connection between the American Revolution and the French Revolutions. If ever a famous person was of both France and America, it was the Marquis. The American Revolutionary era has been a great interest of mine since childhood. The French Revolution and its aftermath is one of the most momentous events in the history of the West and at times for me presents something of an enigma in its complexities and contradictions. As a bridge between these two events, Lafayette will likely always intrigue me. Babbling Books has been beset by evil forces. It started as a trickle of spam messages appearing on old posts. It began to slowly build. It has reached a point where scores of these little beasties are attempting to post themselves upon my site on a daily basis. I have even discovered a few in the upholstery of my sofa and two under the sheets of my bed. At least my cat is happy as this morning I found one in a half devoured state on the floor. As first Blogger’s spam filtering caught most. However as the vermin multiplied, more and more crept through. I would check my inbox more and more frequently and zap them in an attempt to stem the tide. Within the past few weeks the little buggers have nearly overwhelmed me. 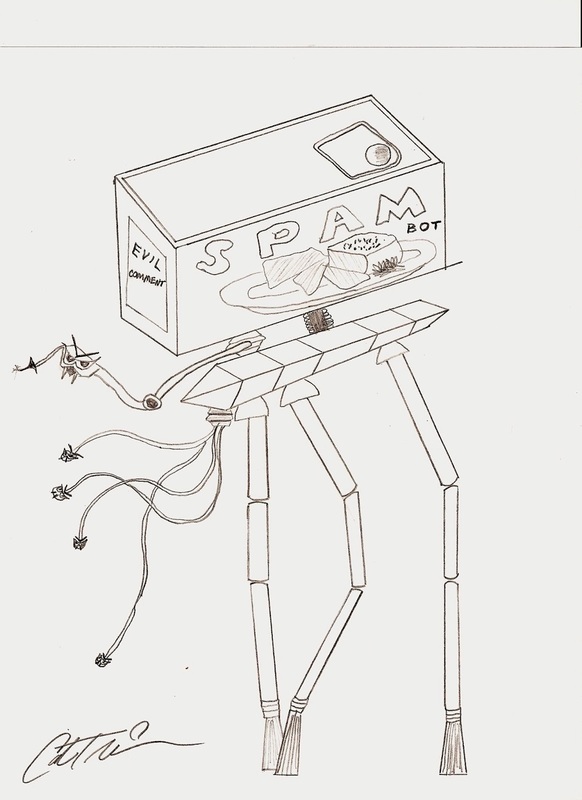 Seriously, due to the massive influx of spam comments I have been forced to take defensive measures. It has reached the point where there are over sixty attempted postings per day. I have resisted doing so for too long as I hate to make it difficult for folks to leave comments. I absolutely loathe word verification so that option was out of the question. I attempted to set Blogger’s options to allow registered comments only. Though this is supposed to allow users of Wordpress, Twitter, etc. to easily comment, several of my fellow bloggers have informed me that they were unable to leave comments when I set this option. I believe that I have settled upon a good solution by enabling comment moderation. Though I know that this removes some of the feeling of instant gratification involved with leaving a comment, it seems to be the least burdensome alternative. I realize that scourge has, as of late, made it impossible for folks to subscribe to follow up comments. It should be now be safe to do so. If anyone has any difficulties leaving comments (other then the known issue of it being very inconvenient to leave comments on Blogger when using some mobile operating systems) feel free to email me at EmperorbjtATGmail.com or tweet me at @BrBabblingBooks. The other day I had the idea of arbitrarily choosing a Shakespeare Sonnet to contemplate. This post is the result of that endeavor. For no particular reason, other then the fact that I like the number, I choose Sonnet Number 66. In the future, should I have the time and inclination I may set my sights upon additional randomly selected sonnets. This is a dark view of life. Things are somewhat redeemed however by the last line, which is a declaration that the object of the writer’s love makes life worth living, despite the despair inherent in existence. There is question that bears asking however: what are these horrific aspects of life that lead the writer to cry for death and rest? Lines two through twelve are a catalogue of frustrations and disappointments. We are presented with a list of maddening injuries, rooted in the corruption of virtue. Faith is abandoned, strength is hobbled, skill is negated as folly triumphs, etc. I think that Shakespeare gets to the heart of some of the most soul shattering aspects of the human condition here. That is, when the finest parts of us are betrayed, all seems lost. There are indeed villains out there, but when the good are subverted by the vile, the result is a special kind of perversion. Oppressors, both large and small have a long history of stifling expression. Not just governments, but organizations of all types, public figures, even teachers and family members have used all kinds of authority, from the emotional, to the social, to the deadly, to manipulate artists. Censorship and suppression of expression are one thing, but worst of all, aesthetic works are often twisted and contrived to serve those who hold power. Beauty is thus subverted in a particularly nasty way. I can really relate to disgust over these wrongs that would lead one to question the validity of life. 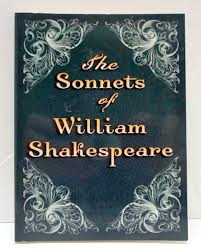 Unsurprisingly an analytical summery of these ills packs little of the emotional power that the Bard infused into the sonnet. Of course expressing ideas in this way is one of the reasons that art exists. When such ideas are expressed by someone with the abilities of Shakespeare, the results are sublime.